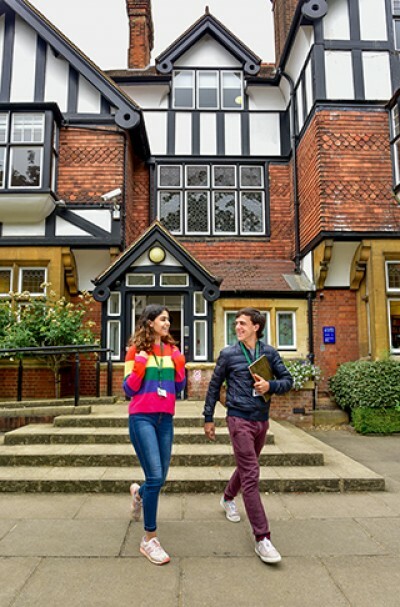 St. Clare's is a non-selective, co-educational, day and boarding, sixth-form college located in elegant north Oxford and has been offering the International Baccalaureate Diploma for over 40 years, longer than any other school or college in England. It is also an IB World School. Other schools in Oxford have only been offering the IB less than 10 years. The college has a worldwide reputation for expertise in providing the IB Diploma and embraces internationalism and academic excellence as its core values. one student gained the magic 45 points, a grade achieved by only 0.2% of students around the world and our students had an average point score of 36; this compares very favourably to the world average of 30. They achieved a 99% pass rate; the world pass rate is 79%. 93% of our students achieved 30 points or more and 20% of our students gained the elite category of 40+ points, putting them in the top 5% in the world. 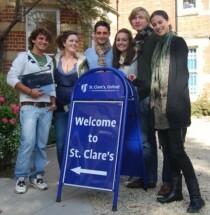 Students from over 40 countries study at St Clare's, including a significant number of British students. 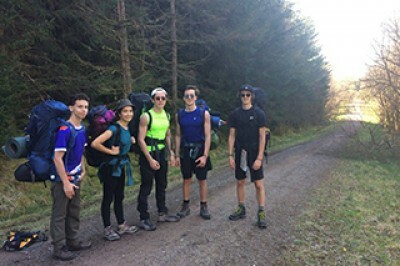 The atmosphere is informal and friendly, with an equal emphasis on hard work and developing personal responsibility and mutual respect between staff and students. Each student has a Personal Tutor who oversees welfare and progress. 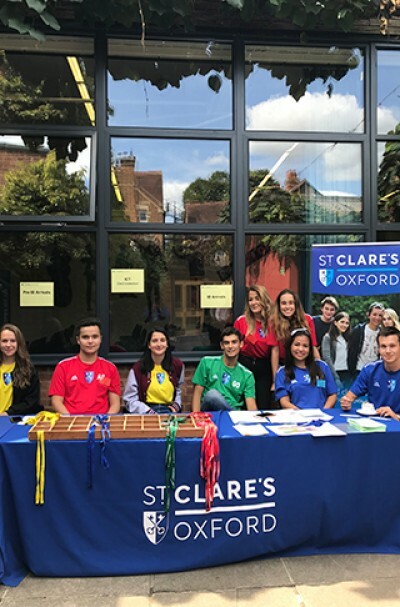 St Clare's has an especially wide range of subjects on offer at higher and standard level and, in addition, teaches literature in over 25 different languages, something that is not available in any other school in Oxfordshire. 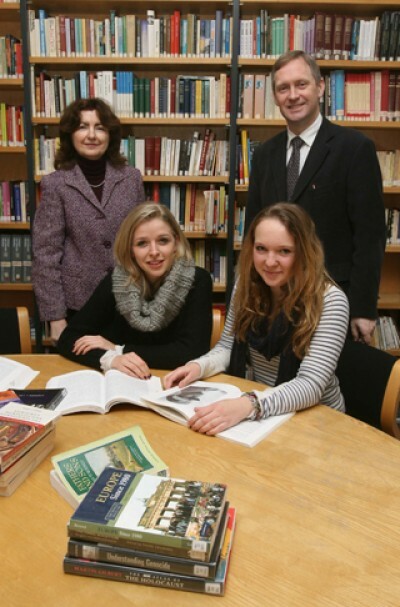 The college offers a Pre-IB course for those students not ready to take the full IB Diploma. New students can attend a three week IB Introduction Course in summer to prepare for the start of the diploma in September. St Clare’s is also authorised to run IB workshops for both new and experienced teachers in co-operation with the IBO. Many of our teachers are authors of curriculum text books and write exam papers. Entry to Clare’s is based on previous academic results and interview and offers are usually made on the day of the interview. There is a competitive scholarship and bursary programme awarded by examination, interview and group exercises. St Clare’s campus is made up of 27 large Victorian and Edwardian houses to which purpose-built facilities have been added. These include a beautiful library with over 35,000 volumes, a dining room, a popular student café and wifi in all buildings and houses. An award winning magnificent new building was opened in 2014 housing 4 science laboratories and 3 mathematics classrooms and a new art studio, music rooms and student accommodation was opened in 2015. The new houses form a beautiful quad hidden away from the bustle of the Banbury Road. Students live in college houses close to the central campus, under the care of residential staff. St. Clare's also welcomes students from the local area as day students. 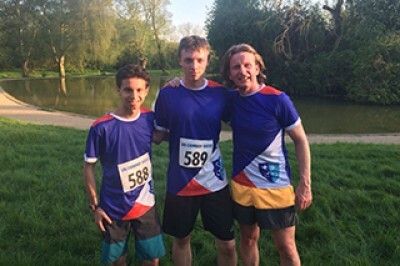 There is an extensive programme of social, cultural and sporting activities and students are encouraged to take full advantage of the opportunities that Oxford provides. Why not have a tour of the college? We are happy for you to have a taster day to see if it is the sort of sixth form experience you might consider. St Clare’s is most definitely different to any other college in Oxfordshire and rightly so. We have a different approach to studying, living and developing as a young adult. We welcome visitors at our two Open Mornings each year and hold IB Information Evenings to provide more detail into the International Baccalaureate Diploma. We would be happy to give you a tour at other times.